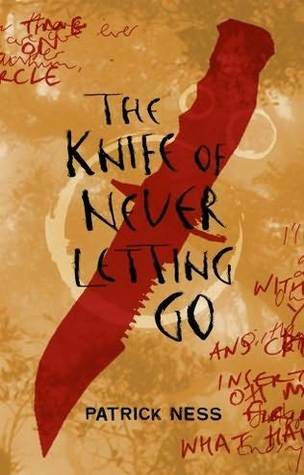 The first book in Ness’ Chaos Walking trilogy is a cliffhanger! I’ve heard a lot of students and teens rate this book, so I thought I’d have a go of it. I really enjoyed it, couldn’t stop really. It’s a fast-paced, thrilling and suspenseful read set in an extraordinary ‘other world.’ It took me a few pages to get used to the writing style, misspelt words and poor grammar that depict the narrator’s lack of experience and education, but it was effective in the end. The characters are well drawn and the tragedy of their situation sucked me in from the start. It’s a bit dark in places; including violence, gore and shocking intolerance, which seems inescapable in this strange dystopian world. The tension kept me on the edge of my seat and currently waiting for the next book to get in (it’s a good sign when the book you’re after is sold out in all the shops). Ness’s book is a great read that packs a punch confronting the issues of fear, intolerance, prejudice, the ethics of violence, manhood, trust and friendship. Due to some of the gore and heavier themes, I’m recommending to ages 14 and up. 4 stars.